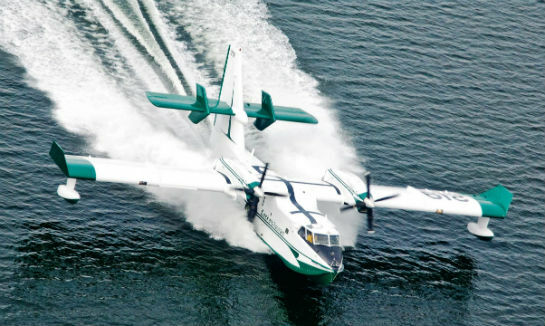 When the Government of Saskatchewan placed an order to convert a fifth Bombardier CL-215 waterbomber to turboprop power in November 2015, it was good news for Cascade Aerospace of Abbotsford, B.C. Cascade entered the CL-215T conversion business in 2010 when it started converting four CL-215 aircraft owned by Alberta and four owned by Saskatchewan to turboprop power. To meet Saskatchewan’s new requirement, Cascade bought a second-hand CL-215 from Aero-Flite, Inc. (part of Conair Group). Bombardier produces the upgrade kit for the CL-215T and Pratt & Whitney Canada (P&WC) provides the two PW123AF engines. The conversion requires extensive aircraft modifications which will take about a year, including the installation of 75 service bulletins. Saskatchewan’s aircraft order was announced a month after Bombardier said it was laying off its staff building the Bombardier 415 waterbomber in North Bay, Ont., because of a lack of new orders. The two transactions were quite separate, but represent a double-edged sword: the cessation of Bombardier 215/415 production after almost 50 years, coupled with new opportunities for Cascade to grow its CL-215T conversion business. “I believe there is a firm opportunity for Cascade to convert many more CL-215s into CL-215Ts,” said Benjamin Boehm, executive vice president and chief operating officer for Cascade Aerospace. The origins of the Canadair CL-215 concept can be traced to a 1963 specification for an all-new waterbomber that could carry a heavy load. 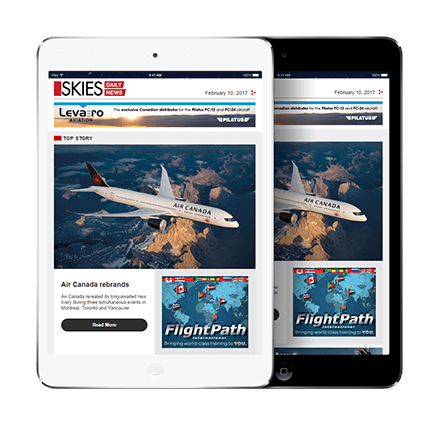 Full-scale development began in 1966 based on a provisional order for 30 aircraft from the Province of Quebec and France’s Protection Civile. 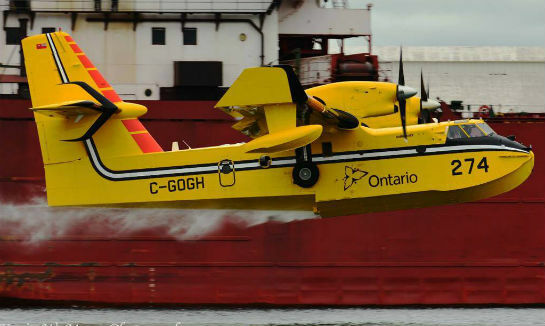 Canadair capitalized on the pioneering waterbomber work of the Ontario Provincial Air Service, which perfected the technique using floatplanes and amphibious aircraft to scoop water from a lake and drop it on a wildfire. This led to the conversion of de Havilland Canada DHC-2 Beaver, DHC-3 Otter and PBY-5A Canso amphibians into aerial firefighters. In the early 1980s, the federal government gave government-owned Canadair a boost when it supported the sale of 49 CL-215s to eight provinces and territories to create a national firefighting aircraft fleet. Then Bombardier developed the CL-215T conversion in the late 1980s, which utilized the P&WC PW123AF turboprop and engine mounts from a Bombardier de Havilland Dash 8-300 to provide a 15 per cent increase in power over the older and heavier P&W R-2800 radial engines. Bombardier sold 17 conversion kits to the Spanish Air Force and two to Quebec. Production of the CL-215 started at Canadair’s Cartierville, Que., plant in 1966, with the final assembly line moving to Dorval in the early 1990s and to North Bay in the late 1990s. A total of 95 new capacity Bombardier 415s were delivered between 1993 and January 2016 to four provinces and eight export countries, including the 95th and last to the United States to fly a new United States Forest Service (USFS) contract–a 50-year goal! Canadair and Bombardier tried for decades to break into the U.S. firefighting market, but the USFS has long favoured land-based air tankers (converted from retired airliners and military aircraft) carrying retardant instead of waterbombers. The CL-215T can carry up to 5,345 litres (1,412 gallons) of water and the Bombardier 415 up to 6,137 litres (1,621 gallons). Given the almost 50-year production run of the CL-215/415, it’s not surprising that many existing and potential customers assumed new Bombardier 415s would always be available. 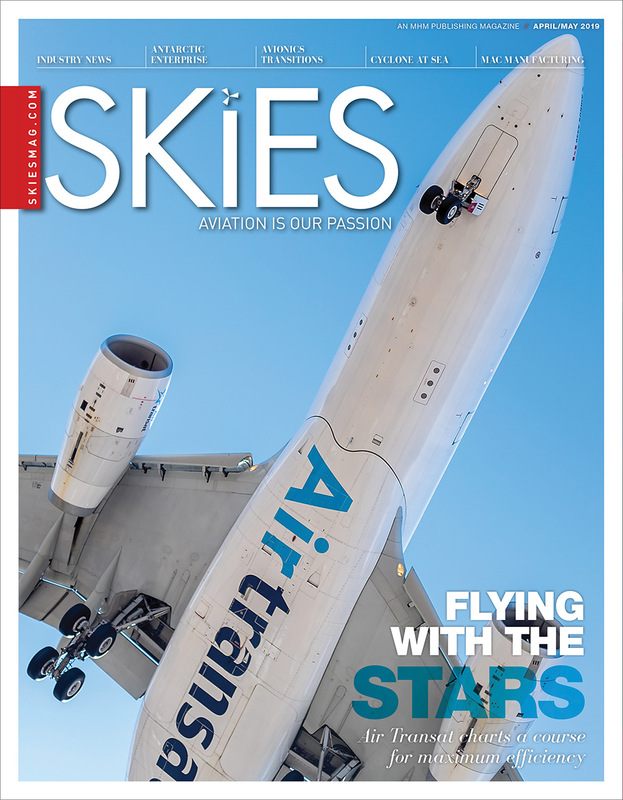 With Bombardier’s focus on selling business jets and the struggling C Series, it is unclear if production of the Bombardier 415 will resume anytime soon, or ever. That makes the CL-215T a solid business proposition for any firefighting agency looking to add a heavy turboprop waterbomber to its fleet or augment its existing fleet of Bombardier 415s for less cost than a new aircraft, said Boehm. 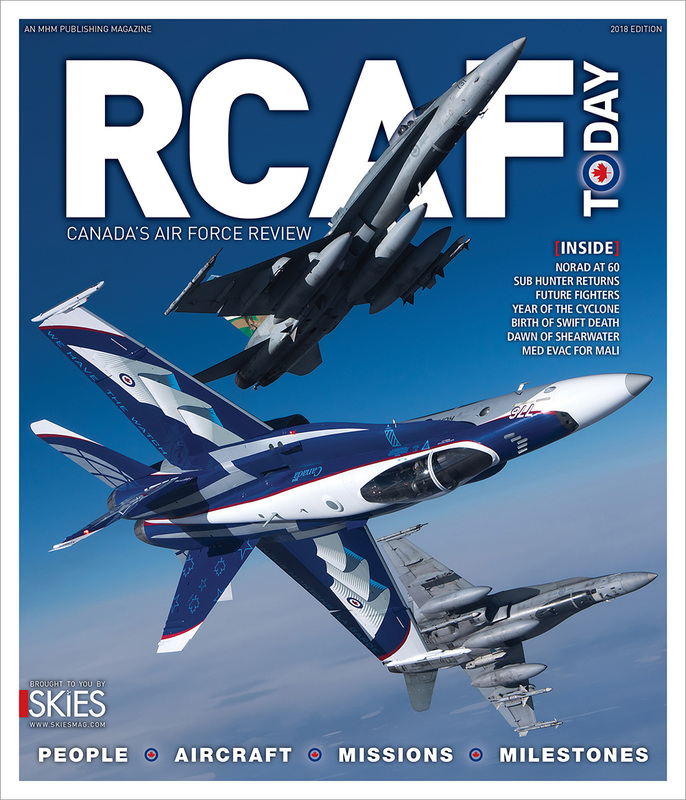 Bombardier has paused CL-215/415 production before, but last year it reportedly canvassed the aerospace industry for potential buyers for the production program at the same time as it placed its NATO Flying Training in Canada business up for sale. A couple of years ago, a USFS study recommended the acquisition of eight to 10 CL-215/415 size “scoopers” for use in the United States. Some of the older piston CL-215s owned by Minnesota were recently replaced by AT-802F Fire Boss amphibious air tankers, but four of the last Bombardier 415s produced were registered in the U.S. in 2015 and early 2016. Two 415s were purchased by Tenax Aerospace and placed on new USFS contracts by Aero-Flite, Inc. Aero-Flite subsequently bought out Tenax Aerospace’s interest in the 415 program. 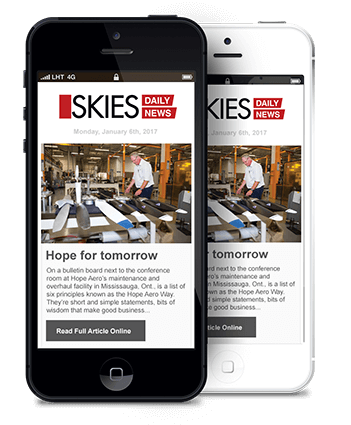 The four late production 415s now flying in the U.S. are operated by Aero-Flite in partnership with U.K. lessor Falko Regional Aircraft Limited. “We are talking to the entire market,” said Boehm. “Current and potential customers are starting to shop around. It often takes years for a government to get a budget to fund a 415 purchase, and now that the 415 line has stopped they are going to have to find a used aircraft and have it converted. ime the airframe but the annual utilization of a CL-215 typically is between 200 to 300 hours a year, so the fleet is quite young when it comes to flight hours, and all water pickup and drop cycles are regularly tracked as part of ongoing maintenance engineering programs. All the CL-215Ts converted by Cascade have also received avionics upgrades during their visit to Abbotsford and there are many 215/415 aircraft in service that can benefit from the increased situational awareness offered from a cockpit or Automatic Dependent Surveillance-Broadcast (ADS-B) avionics upgrade. In 2012, IMP Group bought Cascade Aerospace from Conair. Many of its employees have decades of experience working on firefighting aircraft and the company has significantly strengthened its mix of military and commercial engineering, fleet management and maintenance work, thanks to major Lockheed Martin contracts to support the Royal Canadian Air Force fleet of CC-130H/J transports. Cascade sees opportunities to help international C-130 operators modify their Hercules fleets for aerial firefighting.